The Bob Dylan Complete Album Collection Vol. One is a colossal box set encompassing the entire official discography of the American songwriter-performer who's revolutionized folk, pop and rock music over the past half century with a profoundly influential catalog of songs and sounds. Beginning with tracks recorded for his eponymous 1962 Columbia Records debut album, the Bob Dylan Complete Album Collection Vol. One follows Dylan's restless transformations across six decades as a singer, a songwriter, a concert performer and a studio artist who's continually finding fresh ways of expressing and exploring the varieties of human experience, worldly and other, with music. The Bob Dylan Complete Album Collection Vol. One also brings together for the first time, on two "Side Tracks" discs, a wealth of previously released non-album singles, tracks from Biograph and other compilations, songs from films and more. 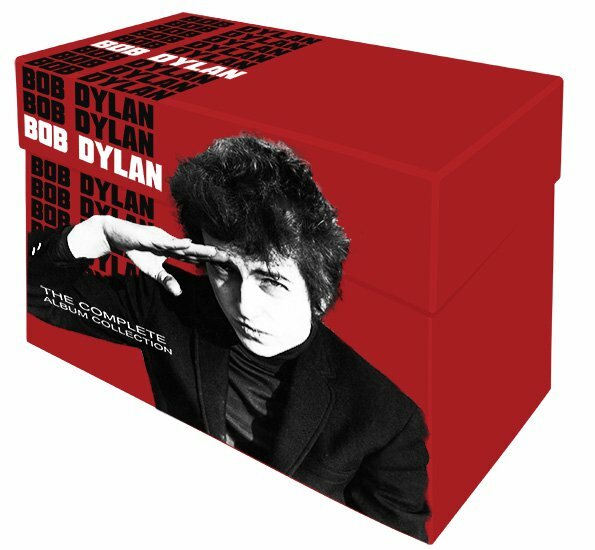 The collection contains 35 studio titles (including the first-ever North American release of 1973's Dylan album on CD), 6 live albums, the 2-CD "Side Tracks," and a hardcover book featuring extensive new album-by-album liner notes penned by Clinton Heylin and a new introduction written by Bill Flanagan. 7. Can You Please Crawl Out Your Window?